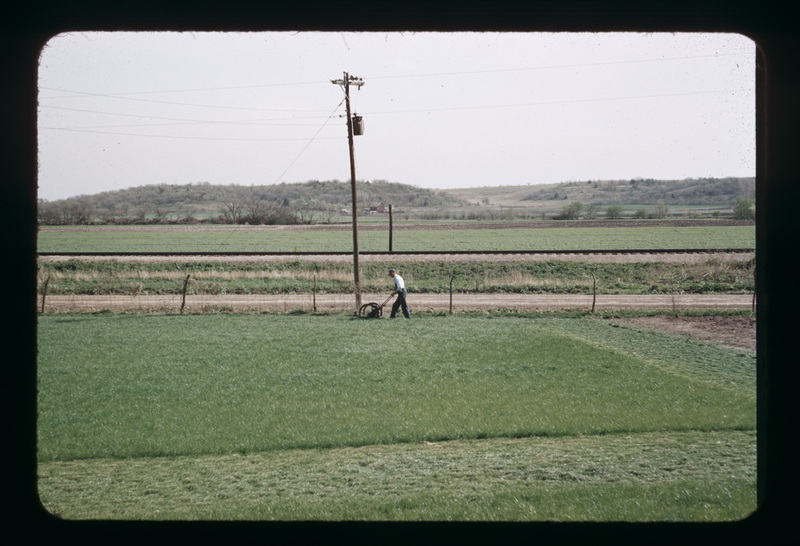 Photo 1016 was taken by Edward Tomek in 1954. It is a view from his parents' (Ed & Emma Tomek) home place looking mostly north. Edward's dad is mowing the lawn with a push mower - made by Ed Steiner. 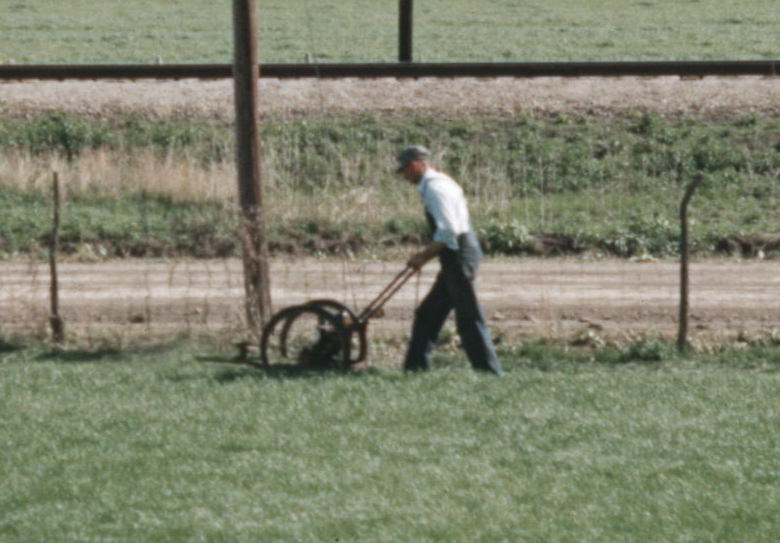 Edward remembered, in February 2015: “Believe it or not that’s a home made mower. Ed Steiner had a shop under Joe Sochor’s shop, where he built things. He actually built that mower. It was big and heavy. It had bicycle wheels for wheels."